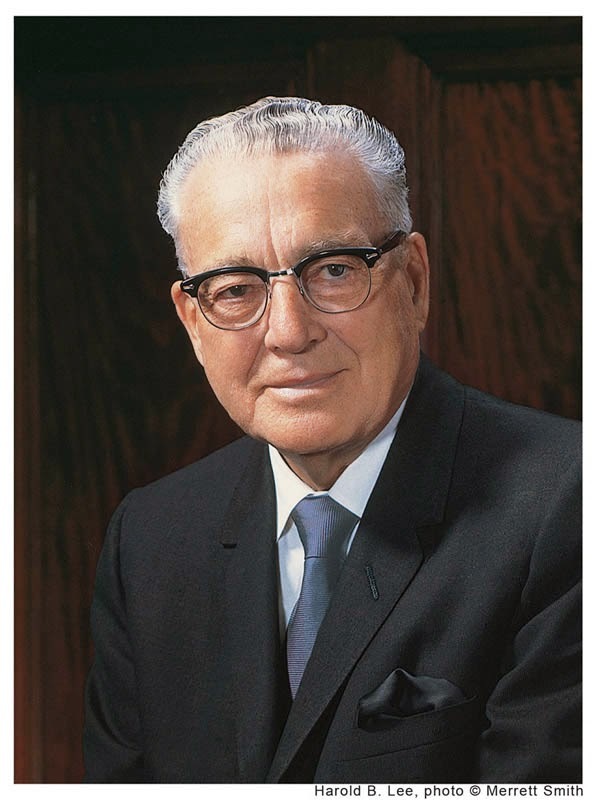 "As we meet the challenging problems of today, may we see, as it were, written on the darkened walls of our sequestered chamber the words of heavenly wisdom that will give us the assurance, when we are faced with momentous decisions, that we can place our trust in God and leave the rest with Him. 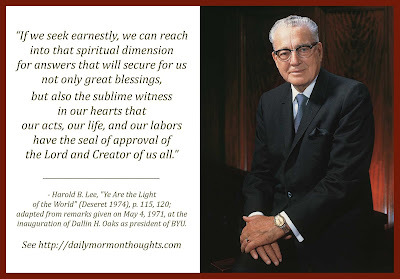 "If we seek earnestly, we can reach into that spiritual dimension for answers that will secure for us not only great blessings, but also the sublime witness in our hearts that our acts, our life, and our labors have the seal of approval of the Lord and Creator of us all." - Harold B. Lee, Ye Are the Light of the World (Deseret 1974), p. 115, 120; adapted from remarks given on May 4, 1971, at the inauguration of Dallin H. Oaks as president of BYU. We can trust in God to provide help when we have "challenging problems" and "momentous decisions." President Lee's testimony is strong and true. The words of heavenly wisdom will surely come to give guidance and comfort, as long as we know (through our experience and practice) how to hear them. He reminds us the process that is often used in making decisions, requiring our best effort first. Not only do answers come, but also the witness that we are doing what is right. Joseph Smith once listed three things necessary to fully exercise faith in God; the third was "an actual knowledge that the course of life which he is pursuing is according to His will" (Lectures on Faith, 3:2-5). That personal witness is precious and soul-expanding.